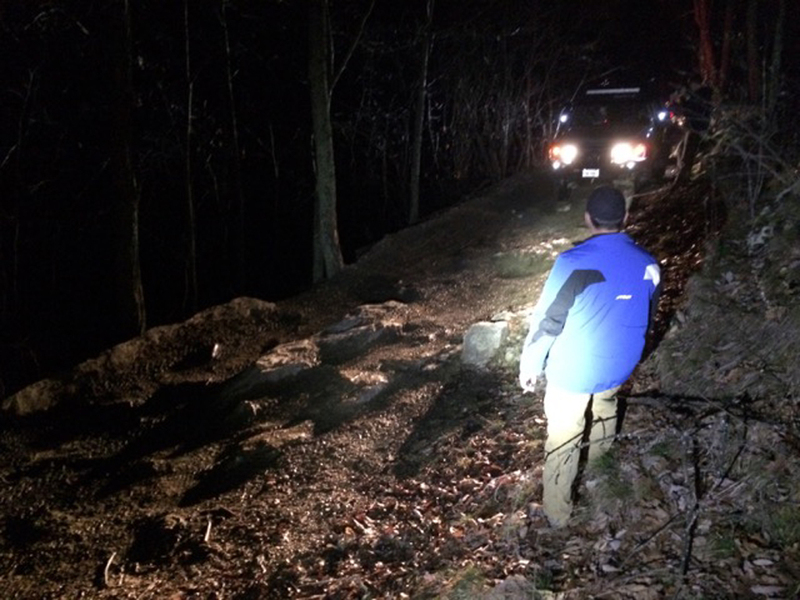 New Year’s Day Night Run – Peter’s Mill | Capital Off Road Enthusiasts, Inc. Turn out was great, a total of 14 vehicles ranging from bone stock to heavily modified, plus all the passengers (I had 3 in my FJ). The lady at Bo’s selling passes was very surprised, don’t think she’d sold that many passes at one time before. The number of nonmembers was surprisingly large. I think we were all itching to get out on the trail so some of the names on the waivers were not the easiest to read. 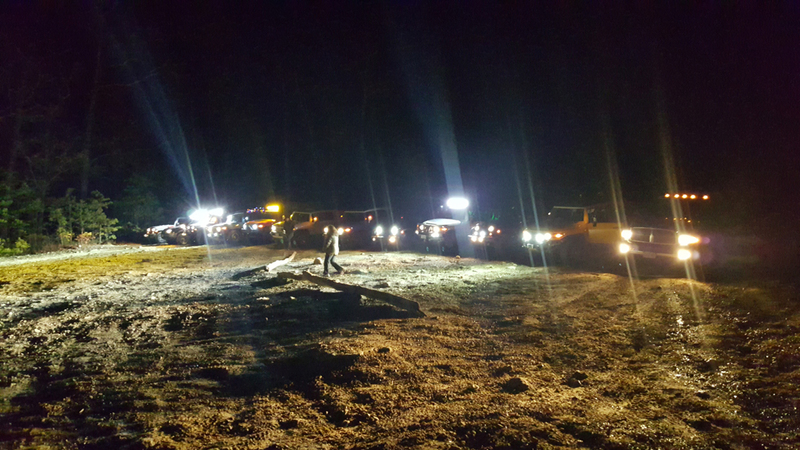 It provides one of the most amazing sights – looking down at all the lights of those 4×4’s snaking their way up the mountain. My plan was to arrive early at the run’s meeting place (Bo’s Xpress, Edinburg) but to my surprise when I pulled up 10 riders had beat me there. So from 5:00 to 5:30 we just hung out, talked and checked out each other’s rides. We decided NOT to break into two groups. I’m glad we didn’t but feedback on that would be great. We headed out at 5:30 looking like an Off-Road parade, arriving at the trail head about 15 minutes later, just as the sun disappeared behind the mountains. The first few miles of the trail twist and turn up the mountain, providing most of the trails altitude gain (toping out at 2,461 ft). It provides one of the most amazing sights – looking down at all the lights of those 4×4’s snaking their way up the mountain. As we reached the top of ridge you could look down though the trees and see the city lights from Woodstock, something you miss in the summer. The trail itself provides only a few minor challenges. There was only one wash-out that required spotters, plus a good number of nice mud puddles. And finding an abandoned trail bike helped add to the adventure. At about the half way mark the trail provides a large field where we all lined up for a great photo opp. For some, the biggest event happened after we left the trail. To get to Woodstock you need to take your first left (almost a U-turn) as you hit the main road. In the dark it’s easy to miss, so the unlucky ones who were following me got to take the long way home. Still we kept each other company on the CBs and had a good laugh about it. I hope we can make this run a New Year’s tradition and hopefully the weather will get back to normal and we can have some snow up there next year. Snow would make this run an A+! Thanks to all that came and made this a truly memorable event. Trip report courtesy of Roland Thro. Pictures courtesy of Paul Woscek, Sam L., Shane O’Neil, and Chris Johnson. Trip Report New Year's Day, Peters Mill, Tasker's Gap. permalink.